Here is the card I made for the most recent Art by Mi Ran facebook anything goes challenge that started almost two weeks ago. As my mojo isn’t been playing along for a while, I decided to use one of my favourite images, Rora and Butterfly. The paper is scraps I had laying about which I roughed up the edged of and layered along with some ribbon, lace and cheese cloth. The lace and pearls are from Live and Love Crafts, as the blue flowers whereas the white rosebuds are from Wild Orchid Crafts. 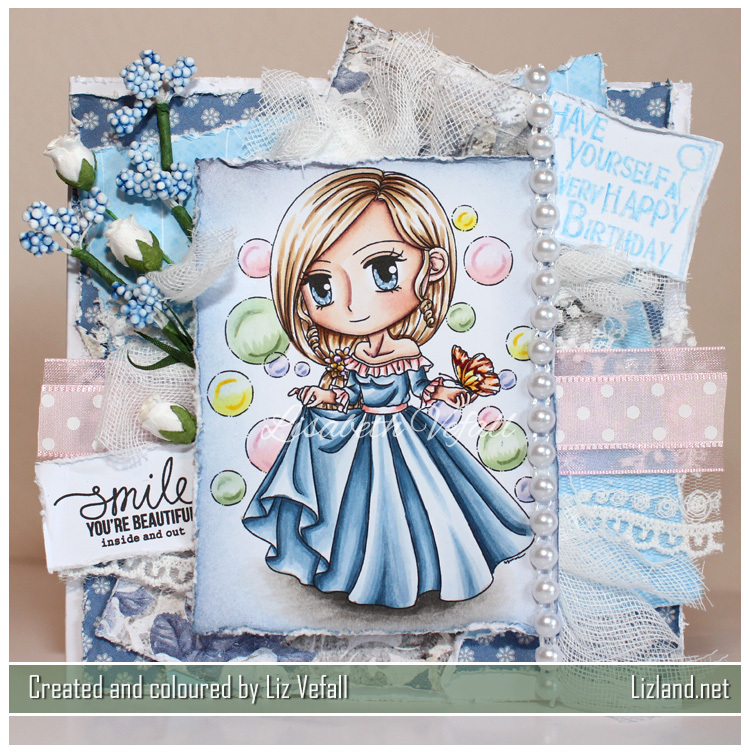 The sentiments are stamps from Lili of the Valley and Make it Crafty.